The video case study addresses the issue of contract abandonment. As you know, in Pennsylvania the Public School Code of 1949 dictates the content of a professional contract, including a provision that provides for a 60 day notice prior to a resignation becoming effective (24 P.S. §11-1121). For many of our larger and/or urban districts, the failure of educators to provide such notice wreaks havoc with effective management of schools, particularly at the beginning of the school year. Teachers need to understand that they are signing a contractual agreement and to take their obligations under the contract seriously. Unlike many states, however, Pennsylvania does not have any statutory provision providing for specific discipline when a teacher breaches his or her contract by failing to give adequate notice. Several of our sister states, like Maryland, Georgia and Nebraska (as reflected in the video), have specific statutory provisions that allow for the imposition of a suspension or revocation under these circumstances. At a minimum, failure to provide the requisite notice (aka contract abandonment) may be a violation of the Code of Professional Practice and Conduct for Education for which a reprimand may be imposed. Teachers should be cautioned that a complaint with the Department of Education may be filed against them if they fail to provide the 60 day notice. It is always recommended that teachers work with their employer to obtain permission for less notice in the event that there are exigent circumstances. It doesn’t seem there is any monetary penalty, but having an ethics violation on your record is not something a school director would want. Where does this leave Mr. Boyer’s students? We moved to the area in the summer and the first I heard that the teacher was a candidate was when I saw his campaign signs go up. If he wins the election, do his students get a substitute teacher for the rest of the year? I don’t have the answer to your question and I don’t think anyone does or will. The current board, for whatever reason, has taken an oath of silence that is so iron clad, citizens are so in the dark, I doubt you could find out the lunch menu tomorrow. The Board should be dissolved. The Directors should resign now. Since that’s not going to happen, every incumbent should be voted out in November. Their silence defines them as complicit in a system that enables District employees to continually abuse students year after year. I am a resident, tax payer and parent of a 6th grader in Mr Boyer’s VFMS class. I’ve met him a few times and have been watching this race closely. My daughter has shown such an excitement for his class and the creative learning activities they’ve been doing – social studies is a favorite of hers this year, mostly because of her teacher. I see the totality of Kyle Boyer’s very-relevant education, varied experience AND his involvement in our school as a teacher as proof of his unique qualifications to serve on the T/E School Board. He has the unique perspective of being both a former student AND a district teacher, a background his opponent cannot provide. He has consistently said he would step down as teacher if elected, which demonstrates his strong commitment to his role as potential School Board member. Frankly, the rest of this is procedural. I’m sure he’s probably spoken to the administration about his candidacy and his need to step down if elected. While my daughter will miss him (! ), I’m sure the school has contingency plans. I WOULD HOPE that the administration would waive said ’60-day rule’ for a person who was chosen by the voters. Why wouldn’t they?! As a parent and voter, I see this as a complete non-issue. We should be debating the fitness of the candidates for their prospective positions, not procedural minutiae that’s irrelevant to most. It’s hard to understand how a full-time T/E teacher making $80K/yr plus benefits (pension, health insurance) would give that up for an unpaid school board position. If he had a job lined up in another district, he would have already given notice. Am I missing something here …?? Most adults living on their own need the income of a full time job. Wow! Your reply shows how little you know of Kyle Boyer. Perhaps he is willing to resign his position due to his passion for the T/E school district. Your reply has echoes of racism … implying that he should be “grateful” for his $80K job and how would he support himself. As a parent of former students of Kyle Boyer, I applaud his dedication to his past and current students. As well as to future students by be willing to be a voice of change in our current school board. But I guess you value money over all else, while others including Kyle Boyer value service to the greater community. I will take the high road with my response. To be clear, I did not suggest (or imply) anything more than surprise at Mr. Boyer’s intent to resign from his teaching position (should he win the election). There are many people who would love the opportunity to teach in our wonderful award-winning T/E School District and those that do, tend to stay many years. Having attended several year-end school board meetings when the retiring teachers are honored — 20 yrs, 30 yrs, and even 40 yrs, it is remarkable to me that a teacher would give up that opportunity in our District, especially at a young age. We all know 20-something kids who graduate from college (and some with graduate degrees) who are unable to find jobs. Again, my reply was intended only as surprise that someone would give up a teaching job for an unpaid school board position. Pattye’s question was not out of line but your accusation of racism was and it is pathetic and shows your desperation. Many have made the same point including myself and I didn’t know Mr. Boyer is African Amerucan until I read your comment. How would anyone know but his students and their families? He makes himself unavailable. The fact that that is in your mind first says a lot about you. Take a look. Kyle Boyer has not made himself “unavailable’. He is running for a public office and has sent out a great number of flyers. If you think he is “unavailable” then you are really not paying attention. Or you just don’t bother to inform yourself of what is happening in the district, except through biased “blogs” like this one. Why must their be an ulterior motive for someone of Mr. Boyer’s age to want to run for School Board. Yes, he will have to resign his position, but obviously he has determined that the sacrifice would be worth it. We should applaud someone who wants to serve the public, not decry his motives. Any comments otherwise are offensive. No wonder no one wants to run anymore with all this vitriol being flung around. Why has Pattye not reached out to the School District Superintendent to ask about the 60 day clause. Perhaps his opinion should have been sought, not the Republican Chair, Democratic Chair or even Mr. Anestad’s. But I guess this is just a gossip site, and not really interested in the issues that affect our School District. See my response to your last comment. The problem is, Mr. Boyer now CANNOT serve under the law. He had to resign 60 days or more before the swearing in date or he cannot be seated. Mr. Boyer knew about this for months and failed to (a) be honest or (b) take the necessary steps. If he wins, the Board will choose his replacement – not the voters. Unfortunately, much of that Board doesn’t even live in Region 2. Anyone who votes for Mr. Boyer at this point is throwing away their vote and their voice. Maybe it’s the fact that he’s just a kid and messed up, but even if that’s it, that’s not someone we want on the school board either. Not to mention, is taking a TEEA member and putting on the other side of the negotiating table fair to taxpayers? Don’t think so…that’s the fox guarding the henhouse. It seems incredible that a teacher or anyone would run for pubic office knowing that they CANNOT serve should they win. What would be his motivation for running? To steer votes away from his opponent so the Board would be obligated to fill the position? I don’t understand. I don’t know his motivation, nor do I care. Maybe he didn’t learn about the rules until after the Primary and figured he could get a job somewhere else. Maybe it’s like you say and he is running, hoping he and other Democrats win and then they get to name his replacement? Again – don’t know and don’t care…just know he can’t serve under the law (possibly for the entire term) and voting for him is a wasted vote. I also can’t believe anyone on here is defending that…his resume / experience don’t balance out the arrogance of putting T/E in this position. Could the school board directors OK a delay in Boyer taking his seat so that he can concur with the 60-day notification. Instead of Boyer taking office in December, they agree to let him take office in January so that he meets the 60-day notification rule. As a TE resident, homeowner and voter I would hope that the TESD administration WOULD NOT or COULD NOT legally waive the “60 day rule” for ANY person running for school board. Pattye thanks for bringing this matter up … hope it is settled before the upcoming election. Again, isn’t that his issue to work out on his own, not yours to speculate publicly about? I frankly don’t see why an intelligent adult would quit a job to be a public servant without knowing – definitely- whether he’s actually elected! Just following-up on information that I was given in March — that Mr. Boyer would be leaving the District for an administration job in another school district prior to Election Day. By law, he is unable to be a teacher in the District and a school board director in the District. Were Mr. Boyer to win the election on Nov. 7, he would take office Dec. 4, 4 weeks later. So — if Mr. Boyer waits until after the election to notify the District (if he wins) he would not be able to meet the 60-day notification to the District. It is my understanding that the 60-day notification of resignation is a contractual agreement. Clearly, he has a plan. He wouldn’t do this without one. He must have help too. Has the Board/Administration promised him another position inside or outside the District if he wins? Something is waiting in the wings for him in the event he wins. Does the Board know? Are they helping him? I also have a child in VFMS who is a student of Mr. Boyer. His students know that he is running for a position on the School Board and frankly, it has engaged them in the process. Who better to know how to benefit the District than one of its former students and a current teacher. Mr. Boyer is an intelligent and dedicated professional with a wide range of knowledge that can only bring a new voice and much needed approach to the School Board. Our District is always one of the top performers in the State and the Country, it needs good people that can keep us there. I am sure Mr. Boyer has carefully researched what the requirements are for the Board and his current teaching position. I think the original post is just meant to stir the pot and unless you are on his election committee, how can you know his plans or that of his current teaching position. If as you say, Mr. Boyer has “carefully researched what the requirements are for the Board and current teaching position” why doesn’t he just say how he plans to work around the 60-day notification requirement. As a parent and taxpayer, I want to know those plans and will cast my vote accordingly. You state that you are child is one of Mr. Boyer’s VFMS students, kindly tell us exactly how he has “engaged” his students in the campaign process. Agree with TE Parent. Why hasn’t Supt. Gusick addressed this issue? As the Supt. of schools and Mr. Boyers superior, he must be apprised of Mr. Boyers plans. This whole thing is highly irregular, and gives an impression of some sort of collusion between the Board/Administration and this teacher running for a position on the school board. In my original reply I stated that “it” has engaged them-the fact they have a teacher running in an election, not “he” has engaged them personally in the election. My daughter and her friends are aware that Mr. Boyer is running for a position on the school board and have taken an interest in the process and in her community. Indeed – what on earth is going on here: “engaged his students”. Huh? Does anyone know what district or state policies or regulations that contravenes? You make a good point that unless you are on his election committee, you are unable to know his plans. This is too important a position to have to guess whether the candidate is legitimate or not. I believe you should do more research about each candidates background before you assume Mr. Boyer’s background is superior to Mr. Anestad’s. Mr. Anestad has more teaching experience than Mr. Boyer, having taught in the Philadelphia school district for 10 years. In addition his wife is currently a teacher in the Perkiomen Valley School District. Even more importantly Mr. Anestad has been a homeowner and taxpayer in the district for 17 years and his 2 children are students in the district. Mr. Boyer has been here for a few years and is not a homeowner. When it comes to experience the comparison isn’t even close. And if you’ve ever experienced even a couple minutes of Mr. Anestad’s comments at meetings, you will become informed of all of his extensive educational background in a manner that is pleasant and not at all arrogant. Teachers and teacher family members seem to be just the sort of people to run for school boards. With this comes conflicts of interest casting doubt on what their doing there in the first place. Given that Mr. Boyer’s opponent Mr. Anestad was a teacher in the Philadelphia school district for 10 years and especially given that his wife is currently a teacher in the Perkiomen Valley School District, his conflicts of interest are the same if not more glaring than Mr. Boyer’s. My good friend on the UCF board was a former teacher in Phila and Sun Valley HS. However, it was a second career after serving in the Navy and working for two decades in business. His decisions were always in the best interests of the community rather than the union. The conclusion – Being a former teacher is not an automatic disqualification. One might want to look at their platform. Both have Facebook pages worth exploring. Was your good friends wife a teacher in another district? Did your good friend and his family benefit from gold standard health care benefits only employees in the public sector get? I don’t know if Mr. anestad benefits from his wife’s gold standard healthcare or not, but it’s certainly something he should disclose. Mr. Anastads previous comments fiercely fighting for and defending teacher salary increases shows his interests are in the best interests of the teachers union and himself. The conclusion——there is little to no difference between Mr. Anastad and Mr. Boyer. Great – he has my vote. Better than the alternative. Bravo to Mr Boyle for teaching conflicts of interest, School Board responsibilities, The Teachers’ Code of Conduct, the 60 day notice rule and the importance of transparency and process. The teaching of conflicts of interest as a teacher is a great idea. The teaching of the Code of Conduct for Teachers is also super! Teachers and Board members are held to a higher standard than lay persons. If he wins and gets a waiver from our Superintendent Gusick and Administration or from the Department of Education, he still needs to recuse himself from the TEAA contract negotiations. It is a clear conflict of interest to know (as a teacher union member) what TEAA is planning. This Information could be used to help TEAA or not help TEAA or to help one side versus another. Likewise, some 30 year old persons lack life experience to make decisions on 135 million dollar budgets, understand education law, understand board processes and policy. Is it proper to teach about elections in middle school on the local, specifically school board race of which you are a candidate? School policy forbids any campaigning on school property. Hopefully, this lesson is one one of general process so as to teach students the avoidance of conflict or avoid anything that could be misconstrued. A TE school teacher can not work in the District and serve on the Board. A teacher/School Board director could negotiate his contract and name his own salary. I really do not understand why Kyle Boyer’s name is on the ballot if he’s unable to take office as a school board director. I don’t understand how he has managed to sidestep the 60-day notification rule. If he wins the election, he will take office in 30 days which is far short of the required 60 days notice. If he has some kind of special deal with Dr. Guisick that lets him bypass the rule, the public has a right to know. Pattye, did you send this post to Mr. Boyer and if so, did he respond to you? Probably not or you would have posted it. To date, there has been no response from Mr. Boyer nor has he made a comment on Community Matters. I asked him to please set the record straight if the facts of the post were incorrect. No idea what the applicable law is, but 60-day resignation strikes me as silly in practice. Maybe in a desperate situation where no backup teacher is readily available. But come on, you really think the district regularly holds teachers to 60 days? What would be the point. The 60-day resignation notice is a PA State law and the personal contract of each T/E teacher includes the regulation. Maybe under certain circumstances, the District superintendent (Dr. Guisick) can grant waivers. You make a valid point regarding Teachers and politics with our kids. What is Mr Boyle promising the PTO mom’s? Transparency is lacking in Mr Boyle’s campaign. “PTO Mom’s handing out campaign Literature for Mr Boyle during the primary”, wow, it makes you wonder what happens to the students of Mr. Boyle if their parents are supporting his opponent? This is just wrong. Are you serious? I am offended by the above poster’s comment. Are PTO Moms not allowed to campaign and have an opinion on who they can support? I believe we got the right to vote in 1920. If you know anything about the PTO Parents in our community they are parents who volunteer their time spending countless hours at the schools to support the teachers, administration and students of this district. They bring programs, clubs, activities, field trips, cultural events, and fundraise for your schools on their dime, not the taxpayers. The PTO works to raise those funds so your children will benefit. The “PTO Moms” that support Mr. Boyer are doing so because they believe in his campaign as I am sure the parents of Mr. Anestad feel the same about their candidate. Taking a swipe at the parents who support and campaign for Mr. Boyer and make nasty insinuations is what is really wrong but maybe that is how you want to run your campaign. As a PTO Mom, I choose to support the candidate with a more positive campaign. First, we all thank the PTO mom’s who volunteer their time to assist teachers in making our schools a better place for all our kids. However, you are misguided if you don’t believe some of the PTO mom’s are VERY POLITICAL. For instance, who is monitoring their librel agenda? That is, the diversity program was increased in the VFES PTo program from $16,000 to $19,000. I know a lot of parents who wished that money could be used for additional IPADs for all our kids. Are you aware that the same PTO Chair attended a SB meeting this time last year to petition the board for bonuses for the principals (you know the same principals who are paid $130-160,000). Why? As stated, I agree the PTO mom’s do a great job. But wouldn’t it be great if Mr Boyer came out from his Left leaning Twitter account and tell EVERYONE his intentions as SB director. And not just let a select few PTO mom’s know his intentions—raise taxes to support a change in ciriculumn that is being pushed by the same PTO mom’s? Transparency is lacking in Mr Boyer’s campaign. PS-Just because I ask questions that the voters are entilteled to know, does not mean it’s being negative. I have no kids in the District so don’t know about PTO moms and their agendas. Could you be more specific about their plans. Why would they petition the Board for bonuses for Principals? Are Principals working with them? Is there collision between PTO moms and Principals? Did Principals get bonuses? I’d like to know more about PTO moms working with Principals and the influence they have in the schools. This is my whole point—Mr Boyer & his PTO mom’s are Not being Specific about THEIR plans about OUR schools and OUR kids. Yes, PTO mom’s are clearly allowed, per school policy, to participate in the voting process, and they do–handing out his literature on primary day. But when Mr Boyer is not Not SPECIFIC on the issues, and not transparent regarding the 60 day default issue, these same PTO mom’s are culpable. Your information is a flat out lie. Our Cultural Arts budget must be what you are referring to, and if bringing Mother Goose to Kindergarten, a science author to the entire school, and Thomas Jefferson to 4th grade is your idea of our liberal agenda, you need to look up the definition of liberal. For months I have begged people to join the PTO. I welcome all backgrounds, as I have this crazy idea that our children’s enrichment shouldn’t be political. Again, instead of spreading false information, please join the PTO, volunteer for our many, many programs, and leave the Fake news to the Russians. I am signing my name here, unlike most of you who are so quick to hurl insults and conjecture, as I believe that this is the problem with society today. Two men are willing to be UNPAID social servants, and yet, most of you feel the need to try to mud sling one of them. I hope whomever wins remembers that ultimately, our children are impacted by the decisions of the school board. “our children are impacted by the decisions of the school board” So are the taxpayers, many of which do not have children in the schools. First, I appreciate your strong reaction, Chair. However, I was referring to the PTO’s budget that I reviewed back in August. I was specific about my numbers $16,000, increased to $19,000. That’s what I saw. Could I be wrong? Yes. But am I lying? No. Regarding some PTO mom’s having Mr Boyer’s lawn Signs and handing out his literature in the primary–that is a fact. And as I said, it’s ok per school policy to do on election days. So when I ask the PTO mom’s who support Mr Boyer to shed light on any campaign promises–it’s only fair for the whole community to know. Especially since Mr Boyer isn’t telling us anything. Another fact, I do appreciate all the work the volunteers do within the PTO. Oh, and “Leave the fake news to the Russians”…is a bit telling. First off, I just asked my daughter who currently has Mr. Boyer and she said he is NOT talking about the election in class. Additionally, from my understanding, the teachers are currently not working under a contract, so I wonder if the 60-day rule does not apply in this instance?? Just a thought…?? The teachers work to their old contract — but more importantly, Pennsylvania law requires the 60-day resignation notice. Apparently you’ve never been to a School Board meeting and watched Mr Anestad push for the District to better control spending. If you were, you would know your comment is impossible. And, school districts negotiate their contracts district by district so not sure how his wife working in a district miles and miles away benefits him. It’s not like, say, a teacher in a district running in that same district to switch sides of the negotiating table. I don’t need to go to a school board meeting to know that a spouse of a teacher, any teacher, in any district is going to advocate for teachers and especially their salaries. Teachers use the ridiculous high salaries of the highest paid districts as reason to get increases in their district. Mr. Anastad said he’s “worried that TE won’t attract the best if we don’t give in to teacher demands.” Don’t worry Mr. Anastad, we’ll be fine. He benefits from teacher salary increases. He benefits from gold standard health care. How can he negotiate on healthcare that he benefits from? You think he’s going to propose that teachers pay more for their health care? No way. You think he’ll hold teachers accountable for their bad behavior? No way. If he wins, he should recuse himself from negotiations just like Mr. Boyer. No matter who prevails, This race is a win for the teachers union. I’m sure they’re thrilled. Only ONE candidate in this race – if Mr. Boyer could possibly serve, which he can’t – would go from one month being a member of the Teachers’ Union to the next month negotiating with them. Manchurian candidate anyone? Let’s say this clearly: all you have to do is read his previous comments on salary increases for teachers to know he is for it. I don’t care what he says at board meetings about cost control, that is The biggest budget expense by far. Just because his wife doesn’t work in TE doesn’t mean he doesn’t benefit and since his wife is a teacher, he will be very sympathetic to their point of view on everything and that is proven out in his comments. The union is the union no matter what district you work in. One teachers contract influences all teachers contracts. They use each other’s as reason to get more. Just because he wants the public to know what’s going on doesn’t mean he will fight for the public. It’s sad that in today’s world people feel they can say anything to help their candidate – including lie or simply make up quotes that never occurred. That is what, unfortunately, is happening here. Now, let’s look at a few things. First, my statement was in response to TEEA claims and actually used the words, “I was surprised” – which shows that I was skeptical of the claim. Second, I said that I don’t believe rankings of our school district should correlate to salaries. Third, like many who read this information for the first time, I was reacting to information provided but not yet verified. So, my actual quotes show both skepticism and a completely contradictory position from that which I am being accused. I have no issue with honest political discourse. But honesty is missing from the attack against me and I wanted to set the record straight. You weren’t misquoted or misunderstood. School board members with education connections have a built-in bias and are less likely to make decisions with an entire community in mind. At least you post your views which is more than can be said for your opponent and that is significant and says a lot about you. Honestly, you will get my vote. I don’t like it but at least you’re one removed from the classroom. And what’s “sad” isn’t what tax paying citizens say but that tax paying citizens don’t have a candidate to vote for other than one with ties to education. That is oh so sad. The issues are how to continue to afford a great education and have all parties heard in a civil discourse. Instead of personal attack how about brain storming a fair contract. One idea I ran across is when you are a county employee, if your spouse or partner has their own health care benefit, the partners must use their own benefits. Second, if there is a 60 day resignation rule in a teacher’s handbook or personal contract (Not TEAA) then the teacher running for school board would know that and should disclose. Likewise, the District should freely disclose the contents of the employee handbook. Finally, it is obvious a teacher can rightfully consult with their fellow teacher union representatives to check with the TEAA. There could be a waiver per Administration per a reason. Or if a teacher wins then takes the elected position he can revise himself of all contract negotiations. It would be unfair for this teacher to share his information gained as a union member to the School Board. First rule for candidates is to disclose bias and conflicts. Of course, a teacher is bound by the Professional Code of Conduct. ($12,000 per year was past membership dues for the TE School Board Directors. Look for solutions. Share ideas. Difficult to know what TE policy and practices are or who to ask? Human Resources? Please check your facts before posting. The VFES school Diversity Committee figures are not even close, let alone in the same galaxy. Diversity is a very very small fraction of the entire PTO budget. Also, if anyone would show up to the PTO meetings they would know that this mysterious Principal bonus issue was never even a topic of consideration, in fact this is the first I have heard of it and I was at every meeting for the past 2+ years. I am not sure where you are getting your information but before you have your followers jumping to conclusions – please do your research. I think there is a mix up. First, To clarify, I am not talking about PTO meetings and the principal’s bonuses. Second, I don’t need to do my research for I witnessed it firsthand at THE SCHOOL BOARD MEETING. Furthermore, you can do your research and WATCH IT ON TV–since the School Board meetings are recorded. And what you will see is the sitting PTO Chair of VFES (at the time) stand in front of the school board and petition them to pay the principals a substantial bonus. Why? Since you say you are a PTO member for the past 2 yrs (thank you for volunteering) can you shed light why that would occur? As previously stated, we value our principals and they get rewarded between $130-160,000–without bonus. I’m not throwing out innuendo, these are facts. The Principal at CHS makes close to $200,000 and the lawsuit demands that she be fired for creating and enabling a culture of indifference and turning a blind eye to assaults against students. She’s not the only one who makes well over $160,000. It doesn’t help that this school board election is a minor affair with little known about the candidates with little media coverage. That’s what Mr. Boyer is counting on. Not many citizens understand the financial impact of school budgets and how increases in salaries and benefits can sky rocket property taxes. PTO moms are silly. What do they think they will get from electing a teacher? He will work in the unions best interest first leaving little consideration for the whole community. And our housing values are impacted by the fact we are the number one district in the state and one of the top in the country, so as a tax payer, you should be mindful of that as well. OK, Heather, I am mindful of that. I am also mindful that we have achieved that ranking without giving away the farm to the teachers’ union or having to be the most expensive. For many, many years in fact. T/E is a great school district for a myriad of factors: parental involvement, financial position of the district, teachers, aides, etc. It’s not about paying our teachers the most…though the union would like us all to think that. And they often use ancillary arguments like “property values” to try and sell it. What his intentions are…the 60 day deadline has past. Rankings have NOTHING to do with teachers and teacher salaries. You PTO moms are being taken advantage of. He will work for himself and the union first. Unions have succeeded in getting teachers and people related to education on school boards across the country and the results have been disastrous for tax payers. I think by all of these posts, it’s obvious where our political ideologies are, and as far as I still know, that’s ok to have in America. 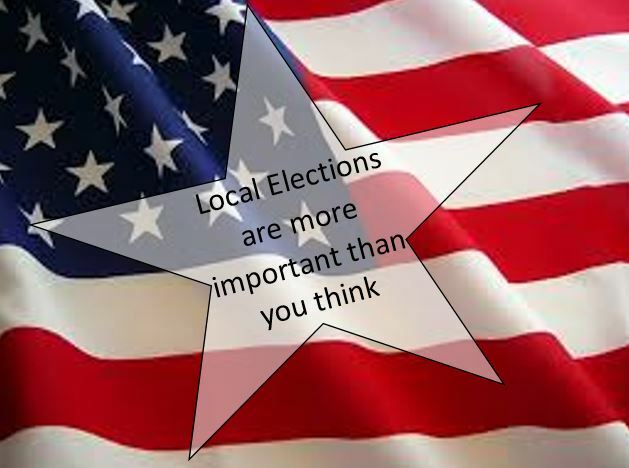 PTO moms have their right to opinions, as well as their right to vote, and what they do in their free time is of their business, and no one else’s, since again, the PTO is a volunteer position and we do not discuss politics in any Board meeting. Your information was false for our budget, and spreading false information in my house is called a lie. But, I am not interested in arguing with you. I have a feeling I know who you are, and I like you offline, and I want to keep our relationship respectful. That said, let it be clear, the PTO isn’t a political organization. We are just a group of parents who want a great school. That’s it. We represent all different political ideologies but our common goal is the kids. Also, at no point have I ever gone to a SB meeting and argued for principals’ bonuses. I argue for Buddy Benches and Water Fountains. That’s the full extent of my “influence”. Again, I am laser focused on the kids. And have zero point zero influence. Yes, to some of you we PTO parents are “silly”. But 20 years from now, your kids will remember the programs and events we did for them, so that’s why we do it. Finally, I wish Mr. Anestad the best in the upcoming election. Yes, I may be supporting Mr. Boyer, but I would be a fool to think that the Republicans wouldn’t run their best candidate, since the Democrats did. It’s a win for all of us that these two men wanted to dedicate their time for our benefit. The PTO becomes a political animal when PTO moms hand out literature for a teacher running for School Board. 20 years from now, when teacher salaries are $125,000 to $150,000 because PTO moms got teachers elected to the school board,I can assure you tax payers will not be thanking you for all the great things you did for their children. You are silly and naive and you are leading us down the wrong path. Thank you for all you do at the PTO. You are twisting the facts. No one said PTO mom’s can’t support a candidate (please reread my posts). Will he increase special ed. Funding? How much does he intend to raise taxes? No one accused you of petitioning the the TE School Board for principal’s bonuses. It was your predecessor, the prior PTO Chair. Don’t you understand why people would want to know Why? You strongly go after people who have different views than yourself. Throwing around the word “Lie”. It’s commendable that you teach your kids not telling the truth, are lies. What do you tell your kids if Mr Boyer breaks the rules? EDIT: Recuse self from teacher contract negotiations once becoming director if you are a current teacher who attended union meetings and voted as a teacher with bias to TEEA. Bias is normal if you are the union or you are a Director. It would make more sense for the teacher to explain his intent to give 60 day notice or why he does not need to give notice per a waiver or exception. Note: anyone can file an ethics complaint through the Department of Education against a teacher for failure to follow your Code of Conduct. Do you understand conflict of interest, failure to disclose is not fair. Who would replace you as teacher? How fast? What cost? Will this cause a disruption in student learning? If not, why? Have you given 60 day notice in the past at prior charter school position? Answer questions and it looks much better. Answer truthfully so I can understand you are placing kids interest before your own personal goals. Should he win and resign his position, where will he work? Is he independently wealthy? Will he job hunt or does he have a job waiting in the wings with help from the District? Why would someone quit their job to serve unpaid on a school board unless they have the same level of higher level position waiting for them. Stay tuned because if another District is waiting in the wings to hire him, this is collusion and a threat to taxpayers everywhere. So now the Democrat head and Mr. Boyer have changed their tune. We were assured that Mr. Boyer would resign in plenty of time. He didn’t. Now it’s – yea, that’s the law, but we aren’t worried about following it. They will let me out…they do it for others. What if they don’t? After all, Mr. Boyer and his acolytes paint him as the greatest teacher in the world. That would be hard to replace with just anybody. Won’t he be messing with his students. Of course, the biggest issue is still not being talked about: Mr. Boyer will be voting on a union contract for a union he was a member of just a few days/weeks/months before. Sounds like he can be fair and impartial for taxpayers. Boyer and the Democrat head LIED to us already on this. Why in the world should we trust them now? Also – why can’t Mr. Boyer speak for himself. Doesn’t that worry anyone? The guy wants to be a school board member but can’t answer for himself and it takes four days for this lame response from others? Is silly, immature, not well thought out and naive. This isn’t patty cake. It’s a huge budget that gets bigger every year. It effects thousands and thousands of tax payer citizens with no children in the District like me and whose income stays the same while we pay for salary increases for employees that are already sky high. All it takes is one aggrieved citizen to file a lawsuit about Boyer’s potentially being seated to the Board to mess things up for months. That’s not a risk I believe is worth it in today’s litigious society. I am more concerned with Mr. Boyer’s silence on this issue, and allowing a political party leader to do all his talking for him. Mr. Boyer claims he will speak for the residents of Region 2, yet he cannot even speak for himself. The fact that he has chosen a purely partisan mouthpiece makes that decision even more disturbing. Blatant politics like this are truly the last thing we need on our School Board right now. Thank you Pattye for the update with responses from Anestad and the Tredyffrin Twp Dem chair. Now the public has heard from Mr. Kling and Ms. Keohane, respective chairs of the Tredyffrin Rs and Ds and the Republican District 2 candidate Doug Anestad, but nothing from Kyle Boyer. It strikes me really odd that there’s nothing from Kyle Boyer himself. Why? All of the controversy is about Boyer, why doesn’t he speak for himself? Am I the only person who finds this odd? He’s the T/E teacher running for school board, why doesn’t he feel he owes the public a personal explanation? Where’s the transparency? When will he resign? What are his future plans? Does he have some deal with the District? Why can’t he speak for himself? This is an important discussion that speaks to the character and tactics of the candidates and their supporters. However, I am hoping that we don’t lose sight of the responsibilities of a School Board, and the ability of these candidates to play their part. Case in point: should Board members at Monday’s Finance Committee notice and question an increase vs last year in “September Year-to-date Expenditures and Encumbrances” for student transportation of $3 million (a 68% increase, to 101% of the full year budget)? When told by the Business Manager in response to a community question that this is not some accounting procedure change, but a result of more aides and cameras on school buses, should they not be just a little skeptical? Which of our candidates can spot the two relevant numbers hidden by the administration in an array of two hundred others? Which are willing to actually exert some control over an administration run amok? Examples: A current plan to spend what will be one million taxpayer dollars on thirty parking spaces at Hillside Elementary School to in practice address a pick-up/drop-off problem with simpler solutions. When also on the docket are yet-to-be quantified CHS classroom conversions to accommodate an expanding student population, as more and more families move in to replace empty nesters forced out by taxes rising far faster than social security and flat pensions. Taxes that continue to exceed the need: last year’s deliberately conservatively budgeted deficit once again miraculously turned into a half million dollar surplus. To be a School Director balancing multiple constituencies is a hard job. One that requires knowledge, experience, critical thinking and a huge time investment. Who fits that bill? What’s your simpler solution to the hillside parking problem? Living right near there I see 15-20 cars parked along the drive where there are no parking spaces, cars blocking the trash dumpsters and leaving barely any room for another car to get by to get to the front door. I listen to the backup beeps of trash trucks and food delivery trucks try to navigate around those cars to gain access to the building. There are not even enough parking spaces to accommodate all the teachers and staff that work there! Simply put, more parking spaces are needed. Maintaining the schools and upgrading the schools costs money—you have to invest in your infrastructure and stay on top of issues or in the long run you end up costing yourself more money or create more issues to address! Today is Book Fair Day at Hillside. Every family in the school is invited. There were 6 to 10 parking spots available in the afternoon with 10 cars parked on the side of the road. I don’t mind the beeping trucks backing up for delivery. I mind the constant lawn mowers howling all day long due to weather changes making October a grass cutting time. Ray Clarke is right. If we have a million dollars to spend on parking spaces, we don’t need tax increases. Leaky ceilings, busted pipes and broken air conditioners constitute maintenance, not a million dollars for unneeded parking spaces. If this is a priority, we’ve got big problems and they are of a tax and spend frivously nature, not a lacking in parking spaces nature. A million dollars? For parking spaces because teachers want a shorter walk to the front door? Unbelievable. The Board is grasping for reasons to raise our taxes. Try working in the city, paying the city wage taxes, paying hundreds a week to park, walking 30 blocks to work in dusty smelly loud streets. Mr. Boyer, the Democrat Party, the Administration and the Board are not acting in good faith. The best way to mess up your relationship with tax payers is to lie to them. They have already done that and show no signs of stopping. Vote in all new Board members. Mr. Boyer’s handling of this situation is inexcusable and disrespectful to the voters and the District. The law is clear, and he knowingly chose to let October 6th pass without resigning, as was required for him to take office legally on December 4th. A stunningly poor decision that should doom his candidacy. I will be voting for Doug Anestad. Thankfully, having watched him at TESD meetings, he appears knowledgable and understands the responsibility of the Board is to ask tough questions and balance the interests of all of the District’s stakeholders – including the taxpayers. Having seen Mr.Anestad in action at School Board Meetings, a vote for him is a vote for a bully in the same vein as our current President. I have attended meetings where Mr. Anestad has belittled and threatened school board members. Maybe we should be asking about his “fitness to serve”. Although I don’t like Mr. Anestads built in bias and ties to education, I can tell you he is fit to serve. I started watching him when I heard he wanted to run for the School Board a long time ago. He is exactly what you would want from a school board director. He is very transparent, very prepared and dedicates a tremendous amount of time and energy to the parents students and tax payers in this district. I do. I have never attended school board meetings and probably won’t but I have seen some on TV where Mr. Anestad spoke. He speaks at every one and that’s how I know he’s prepared. I have have never seen him act in any way other than respectful and nice. If anything, I have seen the Board disrespect him and his ideas. Again, although I wish I could vote for someone with no educational ties to the District, Mr. Anestad is the best choice and will get my vote. Spot on parent in district 2, we know nothing about Kyle Boyer. Please educate us on this teacher you and other PTO moms would like to be elected to the school board. Tell us about him other than he’s kind and a good teacher and you believe in him. What are his qualifications for doing this job? In the same way power corrupts, blind trust corrupts. Why do people follow, applaud and support politicians who they know lie to them? It’s no surprise politicians lie but why to citizens believe? Blind trust in government is often presented as a harmless error. It is the most expensive entitlement program of them all. The more trust, the less resistance and the more citizens delude themselves about those who seek to control them. Without accountability through transparency, democracy is impossible. Mr. Boyer, the Democrat Party, The Administration and the Board have made Democracy a sham. When citizens like PTO Moms believe it and blind trust becomes a substitute for informed consent, the biggest liars win. More information is needed to address why Hillside needs more parking spaces. Is there increased enrollment, more aides or more teachers as well as more special services personnel that need parking? Is there an expectation for increase student enrollment? Or is there a pick up issue? I know special services are needed for our special children which increases the need for spots. I also know it is a long wait on the street to pick up kids. Maybe the Baard can share there research that determined why it is needed? Search for better bids? I do think Doug Anestad fits the bill as he is committed to the Schools based on his attendance of over 100 meetings. Experience Matters and showing up Matters. He also has two children in our TE schools.There is no deeper love than that of a father for the children. Good questions. The need for more parking at Hillside is based on the District’s standard formula and on an increase in enrollment due to redistricting. More parking would indeed be nice-to-have, but my concern is that at no point ever does the School Board question the cost/benefit trade-off. $3,000 per space maybe, but at $30,000 should we not ask hard questions about alternatives? The evidence presented at Facilities was almost all pick-up/drop-off congestion, and we all know that the easier it is to drive students, the more will drive, and all the while there is a alternative known as a school bus that the taxpayer is already paying for. And to top it all off, more cars = more environmental pollution and more impervious service = need for intricate stormwater management devices, which may or may not work. Everyone should get behind Dr Hotinski, who is trying to stop the madness. I agree Mr. Boyer should speak for himself. He can have personal counsel and/or union representation to support him and his rights. It is all good and the more communication the better. There may be a perfect explanation. Or have his attorney with his approval explain to the public. It is a great way to engage neighbors and educate neighbors on the Public School Code and the legislation on the 60 day notice. Correct the record and clear up the rumors. As a former School Board Director in TE, I know the code, regulations, practice and multi tasking are no doubt complicated. However, I do know as a lawyer there are different regulations that apply per employees vs licensed employees such as educators. Please double check your District regulation. A professional licensed teacher who hangs their license under the Commonwealth codes and laws may have a different resignation requirement. Teachers are considered Professional licenses. These licensed Teachers are held to a different regulation of 60 day notice. Check the regulations you quoted. The regulations mirror PA law. However, there are some exemptions given by the School Board. I would hire the best person with experience and dedication. Mr. Boyer is a wonderful candidate who lacks experience in budgeting, law, taxes, statistics, politics and management. At this time with a 135 million dollar budget, unfunded mandates and the pension crisis, I look to maturity and experience for my vote. This is in no way directed to the candidate or the Dems. I am asking for the real facts in this conversation. And of the course, valid opinions as all have a right to be heard. IS there a different resignation rule for Educators? Also, you will see that many more people (other than just his students and their parents) not only know what he looks like, but also much more about him and what he stands for. Thank you for the suggest, I went to Mr. Boyer’s FB page. Very interesting, especially his post of October 17. In that post, Mr. Boyer says that he does not comment on blogs but prefers face to face communication. Mr. Boyer then goes on to include the response that was written by Kathleen Keohane for Community Matters but changes her name as the author to his own name. Mr. Boyer’s FB post of October 17 is the same date that Ms. Keohane’s response appears on Community Matters, October 17. Did Mr. Boyer plagiarize the words of Ms. Keohane (chair of his party) and call them his own or did he actually write the response for Community Matters but the author’s name was changed to Ms. Keohane. What’s with this guy? Is this his idea of leading by example? Yes, and if you really want to know Mr Boyers and his views I would highly recommend you read ALL of his TWEETS found on his Twitter account. For a teacher, preacher he sure has a lot to say about politics…. Not about Tredyffrin but about city of philadelphia, national politics…funny, he won’t go on a local blog and inform parents and taxpayers his opinions and what he intentions are. Between FB and Twitter, Twitter gives the best information. You get the sense you know exactly who Mr. Boyer is after reading. Thank you, Parent- I did not realize Mr. Boyer had a twitter account… I will definitely check it out!